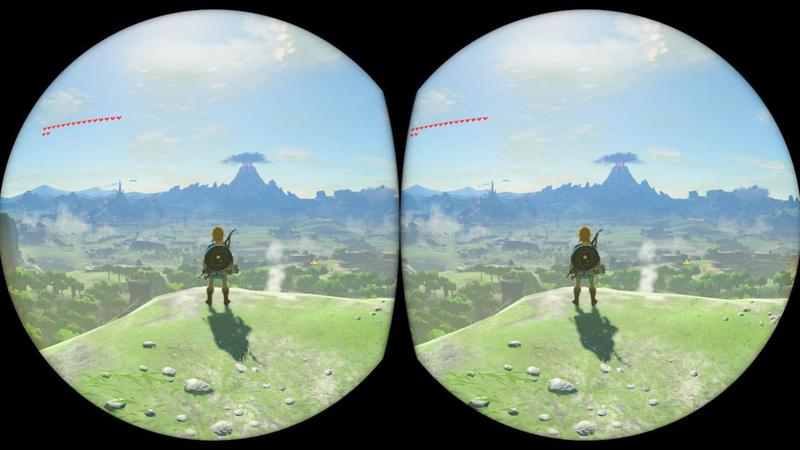 Apart from the new in-game screens (see above and below), the latest post by the game's Technical Director Takuhiro Dohta explains how this update (Version 1.0.6) intends to encourage players to use the Labo Goggles "on and off" throughout their adventure within the land of Hyrule to enjoy scenic spots, talk to their favourite characters or use their favourite equipment. This idea came about when the Takuhiro was first introduced to the Goggles by the Nintendo Labo development team. 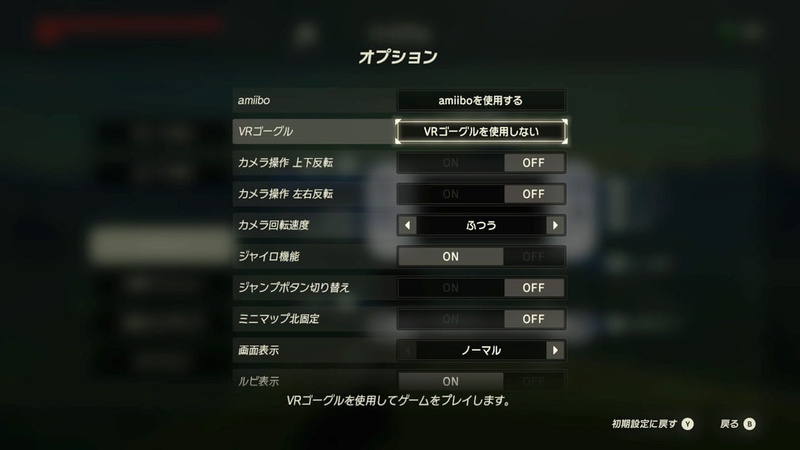 For anyone who finds the motion control camera too intense, there'll be an option to turn off the gyro function completely within the options menu, while still being able to enjoy the stereoscopic vision. Ah, this will be a good excuse for me to play through this again! It’s been a while. BotW is the one and only reason I bought Labo kit 4. Also, does anyone else find it quite blurry? My sight is 20/20 but I find the text looks rather bad even at the best possible viewing angle. If I hold the goggles just a millimeter or two too close or far from my eyes it gets really bad. Oh, and I now understand what everyone was talking about with the "screen door" thing. That little white boxy guy looks ok though, and so do most of the objects in the mini games. All that said, I don't care about any of it, and it was well worth the purchase, so long as BotW runs even remotely well in VR. Wow. I really wish I had BOTW at this point. But hey I've got the labo goggles and Odyssey so I have something... Really glad Nintendo made a cheaper base kit. Really nice saying "I'm paying $40 for this and then getting two $20 expansion packs" rather than "I must pay $80 for cardboard"
I don't get it when people say they are paying $80 for cardboard. There is a proper Nintendo Switch game included (physical nonetheless). And the game even though "childish" is very much polished and well executed, much more worth the price than lots of stuff on eShop. EDIT: Not to mention the cardboard stuff itself and the fun to be had during assembly and also using them. So, well, not simply "paying $80 for cardboard" right? All a bit too Virtual Boy. Can I try the vr mode without the goggles? Don't think I'll be able to get them any time soon, but I'm pretty capable of going cross-eyed for 3D images. @Morpheel yes, you can use it without the goggles. Wondering how long it’s going to be before somebody makes a plastic goggle peripheral that can replace the toycon? Also I’m kinda betting that Nintendo is doing this so that at E3 or before Christmas they can launch the Switch Pro with a beefier professor and a higher rez screen that will have less of a screen door effect. @DavidMac There was actually a plastic VR accessory for the Switch announced and reviewed on here way before Labo VR became a thing, but I recall that they mentioned the experience with that device was rather subpar. Now it's only time until someone makes a better (plastic) version of the cardboard kit. So we can strap that sweet Hyrule to our faces. @Whalehome They made the thing without a head strap. You literally have to hold it to your face to use it. So they clearly do not want you playing with it for the length of an entire battery charge, let alone any amount of time beyond that. It’s meant for short play sessions, and since the Switch isn’t exactly capable of producing the best quality VR experience around, you definitely wouldn’t WANT to use it for anywhere near the amount of time you’re talking about. So it's not exactly "all the game in VR" as people said. What? No VR support for the Wii U version?! It’s like the free ingredients only available on the Switch news feed all over again! @carlos82 Dude the experience is basically what you get when you trip acid and stare point blank into a CRT monitor except it makes you nauseous. Cannot recommend. I might try Zelda for a few minutes since I already got the setup, but no way is it more enjoyable than the game in HD. Loved the 3DS stuff but this is not good lmao. If you cross your eyes, you can see an opposite image, but it looks like the only 3D thing about this is Link sticking out of a flat background. I've seen a few comments about blurriness. I'd assumed almost all VR things would be a bit blurry as the lenses couldn't realistically be all that sharp without costing a fortune, rather than it being anything to do with the number of pixels. I've been waiting for a screenshot of how the 3D looks. Now I can dust off the old Google Cardboard headset to see what games would look like with Nintendo's cardboard. I've seen so many people doing video reviews saying there's no point in trying to capture video footage of it since people couldn't see it, but all it'd take is putting our phones into existing phone VR headsets. I refuse to double-dip! I want a patch that enables vr functionality for the Wii U, and Labo to be released for the Wii U! I also want a neck brace, which I'll likely need 20 minutes after strapping the gamepad to my face! Come on Nintendo, make it happen! High-latency 25fps headtracking is bound to make you queezy after quite a short duration of play. Now if only they'd provide a non-distorted sterescopic splitscreen, for all the poor suckers that bought 3D-tvs for their homes. You're paying for the software design, the cartridge manufacturing, and the shipping of a heavy, over-size case. If you buy the expansions for $20 a piece, though, you LITERALLY pay for the cardboard (and the engineering, and the branding, and the logistics (kinda like how you're paying for two hundred grams of silicium and aluminium when you buy an iPhone)). And if you REALLY don't want to pay for cardboard, why spend $40 on buying the one required thing NOT made from cardboard, namely the plastic lenses? There's sure to be a $10 3rd party alternative soon, I mean, if you aren't willing to build your own from the cheap separate lenses you can get online for that exact purpose. "But but framerate, pixel count etc etc" even though it's blatantly obvious to anyone it's just a featurette for short burst play. People read so much into this for no reason whatsoever. Having tried the basic Labo VR kit, it is fun, but after 10 minutes I had a bit of motion sickness. I'll definitely try Mario and Zelda in VR, but I won't be playing for long sessions. I cannot find any info on how to use it with glasses. Help? Not sure how this is supposed to work if the goggles don't have a strap to hold it in place on your head. @Desy64 I’m a glasses wearer & there is plenty of room. That blaster VR game made me a believer, and I own PSVR and Occulus Rift. Nintendo pulled some magic with that blaster game. It has no right looking as good as it does, or being as fun as it is. Not sure how Zelda will hold up, but I'm excited to find out! @JHDK What did you expect from such a low res screen. Even my Oculus Rift isn't that clear especially text. The resolution per eye is far too low. @Hughesy I also own an Oculus Rift and I am surprised how good Labo VR looks. I haven't tried both side by side, yet, but I would compare the difference in image quality to VHS vs Betamax. The tracking and performance on the Rift however is much better. I can play Beat Saber for hours, but with Labo VR I get a mild headache after 20 min. @KyleHyde Not the same thing. That can't even provide stereoscopic 3D for the device. I am waiting for 3rd party VR headset for Switch to play this. Don't want handheld cardboard VR, I want a plastic headset with straps. I couldn't care less about the VR update or Labo, but I am looking forward to playing through the game again at some point. Such a fantastic game. @Franklin Fun fact: the Virtual Boy has way more in common to the 3DS than with the Labo VR, Google Cardboard, or Oculus Rift. All that the Virtual Boy did was add stereoscopic 3D to essentially SNES quality games, whereas the 3DS does the same exact thing for around GameCube quality games. 3DS owners have been sold on something akin to the Virtual Boy for years now without realizing it. If you've been playing 2D platformers on a 3DS with 3D enabled, you have essentially been playing Virtual Boy games with color this whole time. The perceptual difference between using the Virtual Boy and the Labo VR isn't the same. Not by a long shot. @JHDK while I am moving my head around the text is not clear, but once I fix my position, the text is much easier to read. Maybe double check that the eye piece is mounted correctly. When I closed up the head unit at one point, the support piece slipped out and I had to take extra care to close it properly. Also, because of all the cardboard and dust from putting the thing together, I did have to clean the lens after everything was finished. But I do worry that over time slipping the Switch into and out of the unit will wear down the foam things. @Moroboshi876 It is though... The whole game is playable in VR. Whether you want to hold the VR goggles to your face the entire time you’re playing is up to you. @imgrowinglegs Well, it's not that I plan to replay the whole game. I just wanted to know if it was possible or it would end up being a minigames thing like in Super Mario Odyssey. I'll wait for the head strap possibly non-cardboard version. I was referring to the similar unwieldyness and probable lack of commercial success. Personally I didn't use the 3D on 3DS, though I did try a Virtual Boy back in the day. I'm just not sure how this could work well. I have the Labo VR and you really can't use it for more than a few minutes. Your arms get tired and, due to the low quality VR experience, you can easily get headaches and motion sickness. Sure, it's cool for a few minutes here and there but a game like BotW? Plus, it's annoying to constantly have to take the switch out of the goggles if they're planning some kind of mixed mode. Nintendo needs to at least release a real VR headset. It can still use the switch but it needs to strap to your head, not use cardboard, be really easy to take the switch in and out, etc. Even then, it still won't be that great of an experience since the Switch's display has such a low resolution. As of right now, Labo VR is just a novelty that can only be used for a few minutes at a time and for folks who don't have a real headset. 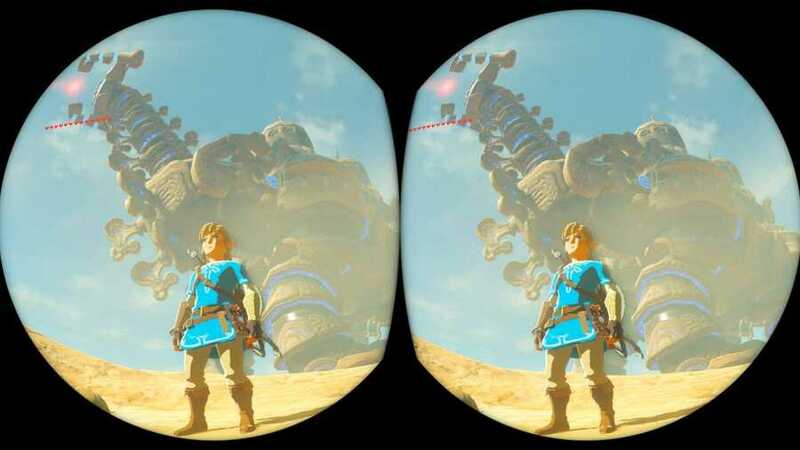 I can't see someone replaying BotW in its entirely in Labo VR. @gamekill for sure, it's totally worth the price. I'm just saying it's nice not having to put down all the money at once just to play with some of it. @Dahn_ You play with the joy-cons attached, thus holding the goggles and controller at the same time. It's a nice little gimmick just like all other VR but without a strap I could never play with this. I want it so baaaad. Zelda VR must be great! @DavidMac @nintendolie Even if a third party released a plastic set with a strap, you'll need to play with the joycon attached to the system since that's what the VR uses to detect motion. @JaxonH The difference is that the Blaster minigame was made with the VR labo set in mind. 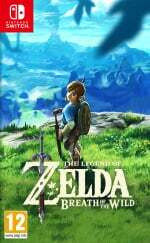 BotW was not, so the experience may not be what you expect. Even Nintendo is recommending to limit its use to certain aspects of the game. @blockfight You have to actually hold it on your face until your arms get tired or you get motion sickness, whatever comes first. @Devlind "you'll need to play with the joycon attached to the system since that's what the VR uses to detect motion"
That's not true. The Switch has gyroscopes built into the console itself. That's why in Labo VR you can use the VR headset to look around without any controllers attached. @Nintendo_Thumb As far as I'm aware of, it doesn't and I can't find any articles indicating it does. I forgot that some games with the VR kit have the joycon attached to the cartboard itself instead of the Switch, but that's how it was intended to. The Switch can still detect those motions, and since the joycon are in a expected position doing expected moves, they can work around them not being attached. if you put them somewhere else, it will most likely not work, at least not as intended. Edit: I forgot to mention that I could be wrong, but I can't find anything indicating the system itself has motion controls. @deafswin37 Yes, but they recommend only in short burst because of the nature of the Labo VR itself. The cutscenes seem to not work with VR though, so there's that to consider. @Devlind I own Labo VR (and all the other Labo kits as well), and anyone else who owns it will tell you you don't need controllers attached to the console. Even in Labo 01, 02, or 03 you could use the gyroscopes in the console to create things. The first thing most people build is the headset, and it has a spot on the right of the cardboard so you can double click on things so you don't need any controllers for input, so, it can be used as is, because it has motion controls built into the console itself. The first hour or so after building it, I just played around with the games that didn't require controllers, and the head tracking is great on it's own. @deafswin37 Pretty much. Since the set doesn't have a strap, you'll have to hold it by yourself, unless you mod it, of course. @Nintendo_Thumb Then I stand corrected. I didn't knew it had them. They better add another page for clothes. I am just glad I will be able to turn off the gyro controls for the camera. This meas I can just lay back on my couch, let the goggles rest on my face, and go on an adventure. Holding the goggles up with the JoyCon has not been that bad. Not ideal for long play periods. Oh and you can totally play the camera game without the camera toy-con. Just hold the goggles with one hand and the left joy-con in the other. Use the joy con to take shots while turning your head to the left will cause the lens to zoom in. No Right Joy-Con needed! @Devlind The Swotch has a gyroscope built in without the joy cons because sometimes it will ask you to put the system on a flat surface to recalabrate the gyroscope sensors if they're off. The blaster game for labo vr looks like the Astrobot Rescue game on PSVR. Nice having the screenshots, using my hand to separate my eyesight, I managed to get a slight impression of BotW in 3D. A blurry and far from immersive one, but it was enough to make me want to relive that game in 3D. I had a "hard time" adjusting to flat graphics again after playing a lot of 3DS. Yeah, BOTW support ensured I wanted to buy the cheaper Labo4 set. Literally built the goggles with my kid this morning. Can't wait for BOTW and Mario Odyssey updates. I don't even care that I'm paying for overpriced cardboard at this point - for me, a cheap entry into basic VR will hopefully (probably) pave the way for PSVR or Oculus. So I'm not getting this wrong, you don't need Labo to see this? I know it won't really work as intended but you don't need the googles to see what it does...so the same for Odyssey as well? I'll save buying the cardboard in that case until there's something I need it for.